NEW YEARS RESOLUTION - Buy a Home Early in 2017. Let’s finish out the year with a holiday basket packed with good news: We’re ending 2016 in better economic shape than in recent years. Unemployment is down to 4.6%, its lowest level since August 2007; consumer confidence is higher than it has been since July 2007; and home values nationally and in more than half of the major markets in the country have recovered. We’re employed, confident, and have recovered equity in our homes. The stock market is up and flirting with all-time highs. 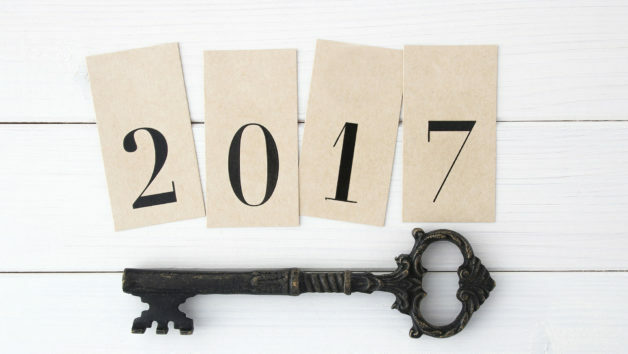 That sounds like the perfect backdrop to buy a home in 2017, whether it’s a first-time purchase, a move up, a downsize, or a relocation. Right? Maybe. But before you take the plunge, you’re going to have to come to grips with two factors that are now decidedly worse for buying than they were at the end of last year: Mortgage rates are higher, and the inventory of homes for sale is lower. Mortgage rates are a bit more than a quarter of a point higher now than they were at the end of 2015. That translates into payments that are 3% higher. Still, that increase can be managed by most. The key challenge for potential buyers is that rates are now likely to move up more—as much as three-quarters of a point in 2017. That would be increasing payments by an additional 9%. Tight inventory levels have been a problem for more than four years. As sales have grown, supply has fallen. We’ve seen the age of inventory—how long homes sit on the market—drop dramatically as home buyers burn through the available stock. We’ve had an abnormally strong autumn for home sales because frustrated buyers are keeping at it even after the end of peak buying season. We also saw more new buyers emerge later in the peak season. Then as mortgage rates started to move up in October and then accelerated their rise in November and December, a new sense of urgency was added to the mix. As a result of this unusually strong demand in the slower time of the year, we will end this year with at least 10% fewer homes for sale than we had last year. And we thought last year was bad! If your New Year’s resolutions include buying a home, I would suggest getting an early start. January and February typically are the slowest months of the year for sales, as harsh weather in most of the country dissuades most potential buyers. Buyers in January and February face far less competition from other buyers, yet inventory is only marginally lower than in the spring. Since mortgage rates are likely to move up as the year progresses, the beginning of the year represents the best time to lock in rates before they get even higher. Early-year buyers can use the holidays to get ready. Organize your financial information to make getting pre-approved for a mortgage easier. Use realtor.com® to find an expert local Realtor® to help you. And while you are there, sign up for alerts on new homes and price changes on neighborhoods that interest you.